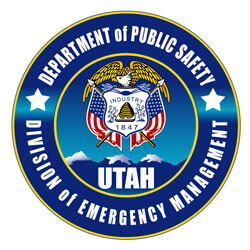 Utah DMV is an official government operated website that is concerned with administering legal and financial matters regarding motor vehicles. From the issuance of legal papers to keeping an account of the revenue, Utah DMV is authorized over maintaining record of vehicles and ensuring that laws are not taken for granted. For this, strict measures and numerous checkpoints in the procedure have been introduced by the division. Utah DMV offices can be located in the above directory. Utah DMV is authorized to issue, revoke, renew or suspend any license, ID, title and registration of any and all drivers and vehicles. For issuance of license, registration, title, ID and permits, the users can apply through an online procedure. Forms are available on the website which can be downloaded, filled and submitted at offices in person. Requests can be submitted in case of expiry of any legal document or in the event of losing it. A similar procedure will be followed in case the user wants to have any changes made in the name or address of the license or registration. The services provided by the DMV offices are accessible through their websites. This feature has provided ease to the users who have difficulty making several visits to the office in person. The locations of the offices under the jurisdiction of Utah DMV are listed on the website. The work timings and phone numbers are also given online. So, if any user wants to make an appointment, they can call the station before doing so. This saves their time and gives them the convenience to adjust their visit according to the wait timings updated on the website. The website also serves to be very helpful for research, planning trips and being updated on the laws and procedures regarding acquisition of different permits.